A person can easily have several credit cards with different payment dates. It only adds to the overall confusion but, unfortunately, there is a way out. Countrywide Pre- Paid Legal Services helps provide an escape. We do this with our financial wellness program. People are not financially irresponsible most the time. They get confused and become anxious when they have trouble making payments. The best help comes in the form of professional advice. Countrywide uses certified counselors to provide support. These are experts in dealing with personal finances. They can help plan member see more clearly how to fix the problem. There are ways to budget for credit card payments. 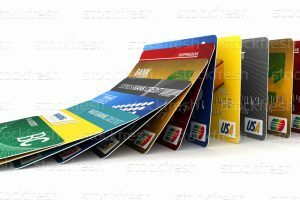 The credit card companies will offer consolidation opportunities, allowing you to combine debt payments from several cards into one payment only. The devil is in the fine print details. Some of these offers are a little bit tricky and require sharp eyes. Our certified counselors will point out the best consolidation opportunities for you. A budget analysis is one of the first things the Countrywide counselor is going to do for a financial wellness plan member. Income and expenses will be analyzed to see where some adjustments can be made to satisfy credit card debt better. Countrywide respects the composition of the workforce. Organizations may be big or small, and they do not always have the same demographics. Some benefits are not necessary for the staff. What we want to do is allow the client to tailor the financial wellness plan best suited to employees. We permit choice. A prospective client is provided an opportunity to look at all the financial wellness benefits Countrywide has. A client may then determine those which bests suit the demographics of the workforce. While we offer suggestions and advice, Countrywide respects the decision of any organization. The benefit choices will be part of the final document. Countrywide will go one step beyond the usual to see to it that any client receives the very best from us. We are dedicated to service and making certain that employees receive high-quality attention from our certified counselors. Those financial professionals know that a Countrywide plan member to be given priority over everyone else. Furthermore, empathy and respect must be part of the service delivery. Credit card debt is certainly a beast, but it can be tamed. What is required is a professional providing excellent advice. It does not take too long before the problem starts slowly drifting away. The plan member is in better command of the personal budget and has the payment situation well in hand. This kind of peace of mind is the greatest benefit of a countrywide plan. Every financial wellness option is intended to help employees deal with current economic challenges. All our choices are supported by highly professional counselors, an administration that is streamlined for best effect, and a commitment to high service from Countrywide. We encourage decision-makers to get in touch with us as soon as possible.